Chasin' Mason: [$10 at Target] November. 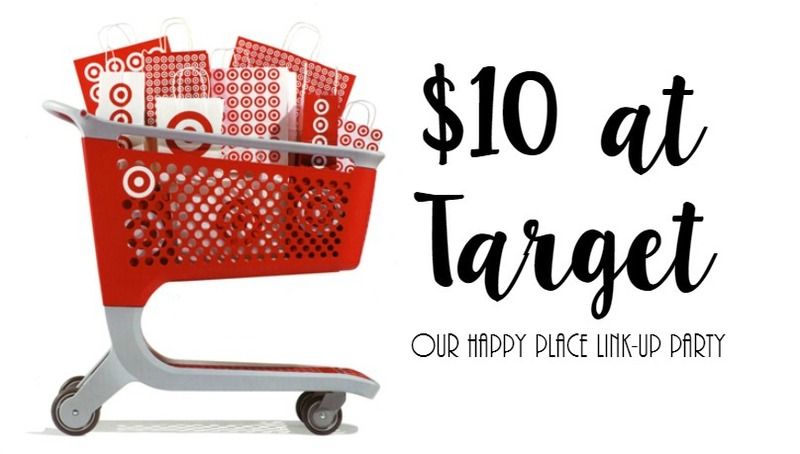 For this month's $10 at Target, I went kind of random. You will notice that I went almost all in the food category - or drink, to be more precise. I don't know what prompted me to go that route, but they looked good and I could get a lot for my money! I also randomly added in a new eye lash curler because I needed one and I love the other ELF products, so I hoped I would love this one too! I was a little unsure of the eye lash curler at first. When I first used it, it seemed to be at a weird angle (or at least a different angle than my current one), so I wasn't sure how I felt about it. But the more I used it, the more I loved it, and I've since thrown away my old one and only use this one now. The drinks... most were good, but most were also something I probably wouldn't buy everyday. 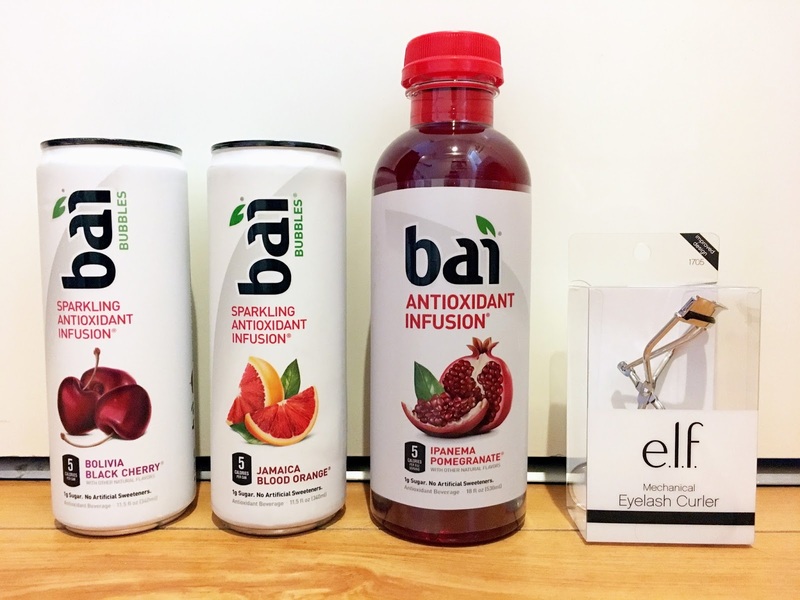 My boss had left a bai drink in the fridge at work when she left to go home so I thought I'd try it. I had heard other people talk about how good they were, so I thought, hey it's free, why not? It was a peach one and it was super good! So when I found these at Target, I thought I'd try them. Most flavors were pretty good, even the bubbly ones, but I don't know that I'd buy them regularly. 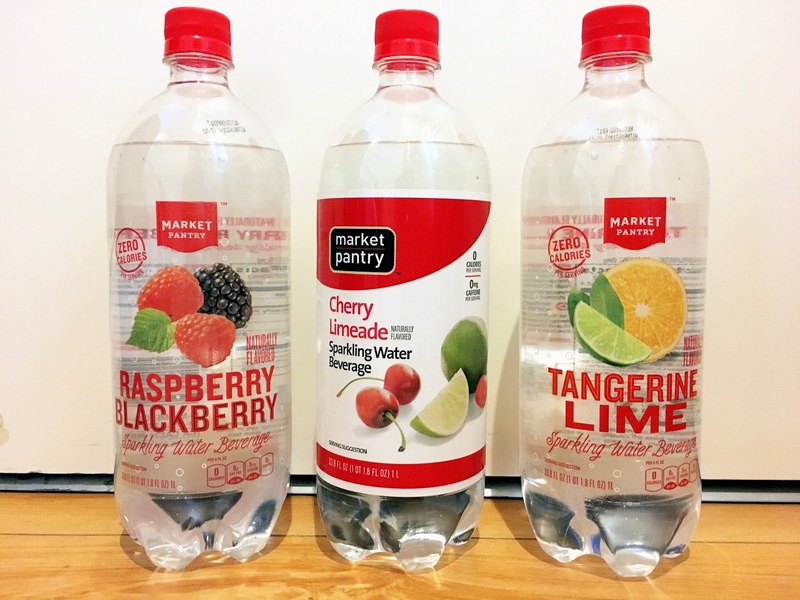 The market pantry ones were pretty good and were more just like sparkling, flavored water. All the flavors were good and given how cheap they were and how much I got, I'd say, I'd be interested to get them on occasion when I wanted to switch it up from my normal boring water. Just barely over budget! I gave myself a pat on the back for this one (lol)! Next month, we'll be sharing our hauls on Monday, December 19th. Mark your calendars, get your shopping on, and link up with us on the 19th and show us what you got! Nice haul! You got a lot for your money. I like sparkling water but it's not like having a coke. Ha ha! Great job. I never use eyelash curlers... maybe I should give one a try myself. You always grab the best looking drinks. I am not a fan of flavored water usually but you've got me interesting in giving this a try. Maybe I'll give them a shot when I go the store again. A nickel over budget, not too shabby! I went to Target yesterday...unfortunately I spent well over $10! haha! I guess that's what happens when you live over an hour away from one. ;) I love sparkling water, btw! Ive been using the same eyelash curler for ages!! Thank goodness for replacement pads lol. Sometimes random is more fun. You and your food and drink!! I love it! 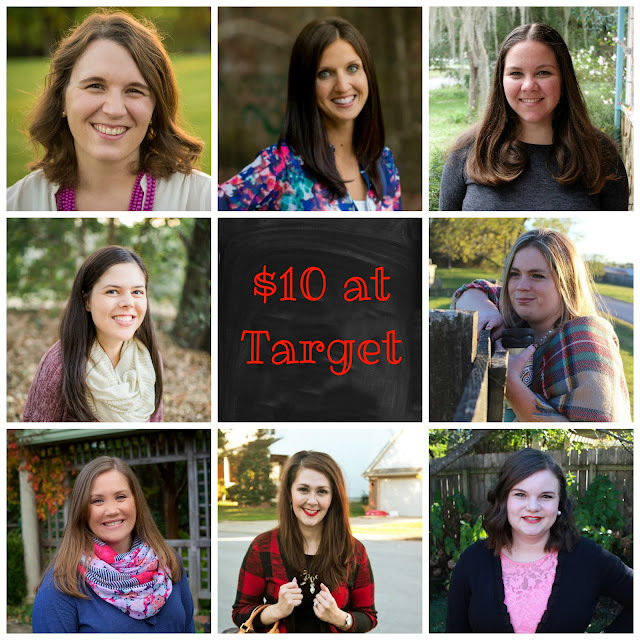 I always love to read these posts but I could never limit myself to just $10. If that happened, it would be a miracle! I tried the Bai drinks for the first time earlier this year. They are delicious, but super strong in flavor I thought. Definitely agree with them not being something I'd drink on a regular basis!